Last Laugh have existed for more than 10 years but have released very little music. They released a record on the Record Heaven label back in 1998 that many consider quite a classic in the Swedish progressive rock scene. It was a mix of King Crimson, Frank Zappa and bit of the weirdness of Primus. The band still lives but is quite different now. Only the original guitar player survives and the lead vocals and bass are done by Marcus, from the band Darxtar. "Easy" is quite a heavy progressive rocker, while "Dogs" is a slower, melodic moody number. The keyboards are very low in the mix and give the song a sort of eerie feeling. 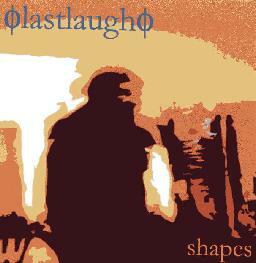 "Shapes" closes the CD and gives you a taste of what is to come from this band! I think a lot of people will be happy to know the band are still around but the music here is quite different from the Meets us where we start today CD from 1998. You can find the three tracks reviewed here on the viatminc web site at the link below. For more information you can visit the Last Laugh web site at: http://come.to/lastlaugh. Hear the songs at: http://stage.vitaminic.com/last_laugh.